9: 2013’s Most Eagerly-Awaited R&B Album - Available Tuesday, April 9, 2013. Frankie DeCarlos' stateside breakthrough album. Frankie DeCarlos fans worldwide—it’s time to celebrate! Chispa Music Group announced this afternoon that 9, the Prince of Soul’s long-awaited studio album—and his first since offering EMPIRE—will be released worldwide on Tuesday, April 9th, 2013. Global anticipation for the release of 9 is already reaching an explosive pitch across the planet with massive branding campaigns including a host of upcoming events. Before the album releases, the world will get a full listen of the heartfelt single MY QUEEN on March 10th. More details below! Music industry focus groups in Atlanta, Nashville, and New York predict 9 to be Frankie DeCarlos’ stateside breakthrough R&B commercial album. 9 features super-smooth productions by Isreal "Le Composa" Dease, Beat Boyz, Calvin Bonds, Garrick Jordan, and FDC. Critic’s favorites are BEST IN ME, LOVE TWINS, and MAKE LOVE. A teaser of the album is expected to appear on http://www.frankiedecarlosmusic.com, while the single MY QUEEN will stream on the site for a full week, beginning at the stroke of 12 a.m. (midnight) EST on March 10th. The cover of 9, pictured to the right, was designed by Universal Art and New Orleans’ creative giant Stephen Evans. The album debuts nine tracks including collaborations with rising artists, Cori Lamont (of Lyrikl), Christiann Holmes, J. Jordan, Algernon Johnson, and Winston Vicks. The sessions were engineered in the studio district of Atlanta by William "Will B." Brown, Jr. Music lovers, this is one of those easy-listening albums that you don't have to skip through, it's a phenomenal piece of work. It reminds listeners of I WANT YOU, the smooth and classic Marvin Gaye album that millions cherish to this day. 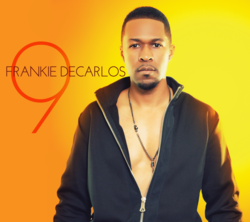 2013 has certainly been a strong year for exciting releases and Frankie DeCarlos | 9 just made it more interesting for music fans, worldwide. 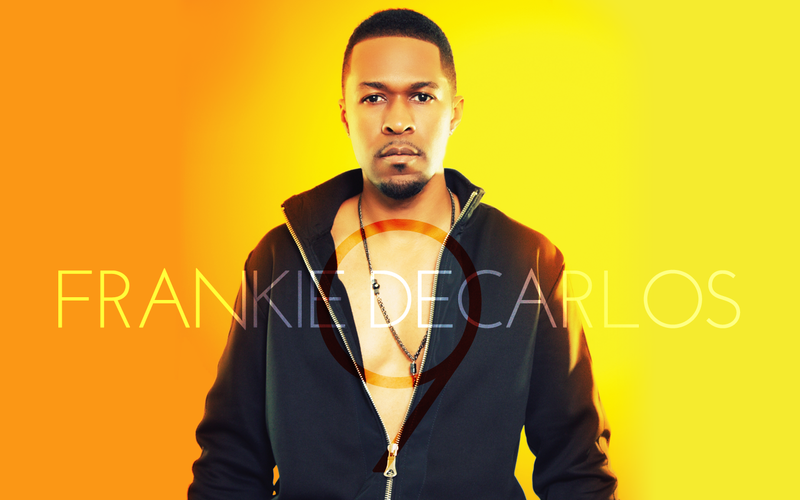 Executive Mychal Simpson from the label reveals that Frankie DeCarlos was scheduled to release a five song EP titled BEST IN ME, but instead kept working and concluded with 9. All are invited to the first public campaign listening event in Atlanta, GA., USA, on Thursday, March 21st, 2013 at Our Place Cafe (3387 Main St., College Park, GA. 30337). So here’s a question! What do you think—will you be picking up a copy of 9? Many excited and curious music lovers around the world can't wait to download their copies on iTunes (https://itunes.apple.com/us/artist/frankie-decarlos/id261517279) when it’s unveiled to the universe on April 9th.